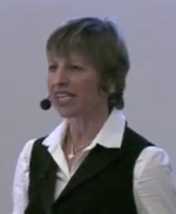 This open lecture was given on 7 February 2012 by the nutritionist Zoë Harcombe. In the UK, obesity has increased ten fold since the 1970′s. Clearly it cannot increase ten fold again or 250% of us will be overweight. However, the prediction of the Foresight report is that 90% of today’s children will be overweight or obese by 2050. We cannot allow this to happen.